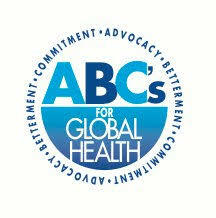 ABC’s for Global Health is committed to respecting and protecting the information that you share with us. ABC’s for Global Health does not sell, rent or otherwise share any personal information collected through any means. ​ABC’s for Global Health receives some information about visits to our website through web analytics tools. The type of data that we receive focuses on general information and is used to analyze web traffic patterns (e.g. most visited pages) and to perform routine system maintenance. ABC’s for Global Health does not sell, rent or otherwise share any personal information collected from email links to our website, application forms for volunteer and other participation opportunities, and registration for events hosted by our organization. It only uses the information to respond to emails and conduct its programs, in accordance with its mission. ABC’s for Global Health collects personal information when you make a donation. It may use this information to pursue its fundraising efforts (e.g. send an invitation for an event) that ensure the sustainability of our nonprofit organization and to comply with its legal obligations under applicable law. ABC’s for Global Health does not receive any financial account information, which goes directly through gift processing programs (e.g., PayPal). The Website is published in the United States and subject to laws of the United States. If you are an EU resident or citizen, you have additional rights in connection with your personal information pursuant to the General Data Protection Regulation (“GDPR”), including the right to request a copy of your personal information that ABC’s for Global Health may have, and the right to request that we update, delete or anonymize that information. If you have any GDPR-specific questions or requests, please contact ABC’s for Global Health at abcglobalhealth@gmail.com. The website may contain links to other sites. ABC’s for Global Health is not responsible for the privacy practices of such other sites. This privacy statement applies solely to information collected by this website.